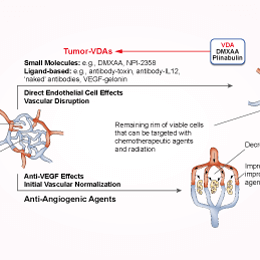 DMXAA (Vadimezan) is a vascular disrupting agents (VDA) and competitive inhibitor of DT-diaphorase with Ki of 20 μM and IC50 of 62.5 μM in cell-free assays, respectively. Phase 3. (B and C) sh-scrambled or sh-ck2a–transducted L929 cells (B) and Raw cells (C) were stimulated by DMXAA (100 μg/ml) for various times. Cytosolic and nuclear extracts were prepared as described in Materials and Methods. Five percent of the cytosolic proteins and 20% of the nuclear proteins were resolved by 10% SDS-PAGE. Subsequently, immunoblotting was conducted by indicated Abs. The amounts of Tubulin and Lamin B1 in cytosol versus nuclei detected by respective Abs were used as internal control for fractionation. Plinabulin (NPI-2358) is a vascular disrupting agent (VDA) against tubulin-depolymerizing with IC50 of 9.8~18 nM in tumor cells. Phase 1/2.